The 'Virus Wars - Antibodies Strike Back' stand at the Royal Society Summer Science Exhibition 2013 showcases new work from the MRC Laboratory of Molecular Biology which shows that cells are not passive victims but are able to use antibodies to detect and destroy viruses.. 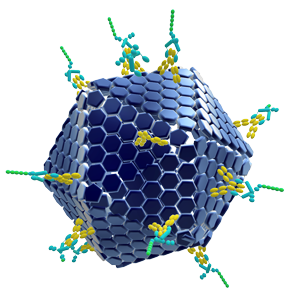 The LMB's work has changed the way scientists think about virus neutralisation. This site includes key materials from the LMB's stand, along with video links and other resources, to help explain how viruses infect us and how our own immune system responds to infection. To find out more about our stand at the Royal Society visit our Virus Wars blog.